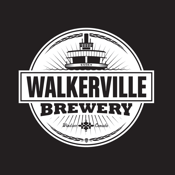 Walkerville Brewery is a well appointed microbrewery located in the City of Windsor within a district known as Walkerville. Situated within the area developed by Hiram Walker over 150 years ago, we are proud to compliment our neighbours, the C.C. Brand Centre and Pernod Ricard. Here, we form a modern day distillery/brewery district. The brewery occupies an 18,000 square foot building once known as “Surge Plant 16” and is located only blocks away from the original Walkerville Brewing Company established in 1890. This app helps you find great establishments that are proud to serve our products, where they're located and how to get there. Plus, you can stay connected with the latest news, events and even what's on tap at Walkerville Brewery. Walkerville Brewery aims to be the social fabric of its community by creating a culture that best exemplifies our community-minded conscience. Through the development and creation of quality lagers and ales, we aim to identify, then satisfy the needs of our diverse target markets. By handcrafting unique styles in small batches using only the highest quality barley, hops and purified water, we will deliver fresh quality beers to our customers.